Let’s get real and talk about creativity and love… baby. Here’s what I listened to while writing this. I’m gonna pepper in some pictures, just so you don’t get bored. Feel free to zone out, imma gonna ramble! When you want to create something, the first thing is to really think about the way you see the world. What do you find beautiful in it? And remember, that it’s almost always in the details. A sunset is beautiful for everybody, but that also kills anything special in it. What do YOU like about a sunset? The silence of the sunset? How the waves almost seem to slow down? Maybe you don’t see anything in the sun, maybe you want to turn around, maybe you like what the sun sees when it falls? How the world turns and disappears. I like nature. What I like even more then the abstract idea of nature and trees and leaves, is when I’m walking on a gravelly path, and the sound of rocks is so loud it fills everything. And then you stop. I like the sound of stopping when walking on a gravelly path. It’s a very small moment, but somehow it gives me great joy. Now I have to find a way to share it. And you know what’s great about this? You gain a great strength. Since now the deepest pit you can fall, even if nobody likes your work, or it just didn’t turn out the way you wanted it, you will always, ALWAYS, have that highly specific detail in life. And you can carry that thing with you for the rest of your life and it will keep giving you talent and power just because you noticed it. I also think there’s great value in being alone. Not lonely! There’s a big difference. Especially if you want to create something, it is way easier to find those specific shards of beauty from being alone. Ever wonder why there are so many poems and paintings about nature? 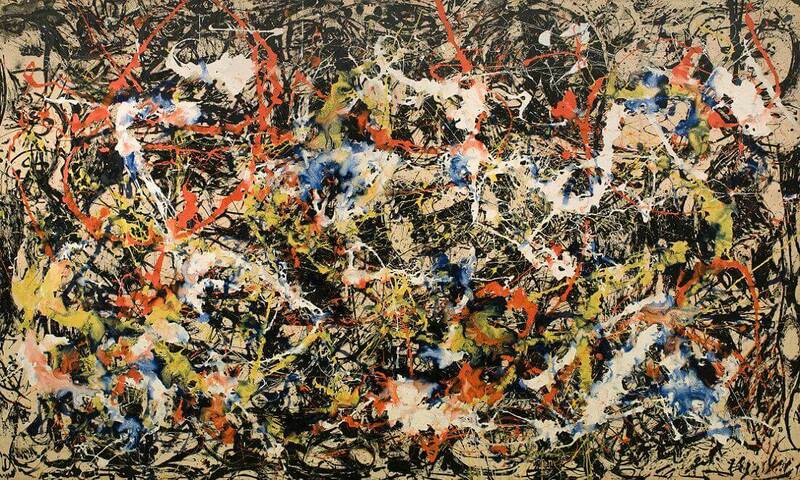 Yeah… Humans sure are fun, but they are tougher to figure out and finding a beauty in them is a bit like looking at a Jackson Pollock painting. Now. I’m a 23 year old guy, so take everything I say with a grain of salt. I probably don’t know anything and I might be wrong even about that. The fun thing about life though, is that nobody’s right, so on we go! Down to the deepest mines of pretentiousness and “deep” thoughts. So.. what is maturity? For me, and only for me(steady on those emails), maturity is about fixating a permanent worth to the world and the people in it. It’s accepting your own emotions on the deepest level. It’s about recognizing happiness, but sadness just as much. I think a truly mature person has the ability to grow inside pain. To use everything the world throws at you, no matter if bad or good, is incredibly difficult. A mature person is someone who analyzes life and experience and then makes a decision. Someone who realizes the difference between hedonism and something that will grow through pain. A mature person will rarely take the easy way in life. Now I’ve met people who are incredibly mature and I’ve also closely known someone who’s exactly the opposite of that. What’s the difference between them? Well, a less mature person always tries to grow outward, towards the sky. He/she is really running from him/herself. Hesitant to look back and afraid of anything that might change him/her. But a mature person grows roots into his/her principals and beliefs. He/she decides WHAT specifically makes them happy or sad and what will actually make him/her grow as a person. Where will she/he find worth? And spoiler alert: it’s probably not found at college parties! But it might be found when you’re walking home alone after one, thinking back to how you’ve changed. I’m getting right sick with the word “maturity” by now though, so we need to move the hell on. What’s next? Mothafuckin love. Lovey-love. See this is a blog, so I’m really gonna just talk about myself a lot. It’s what people do anyway, but I’m gonna give you the luxury of a big X on the top right there. Love, for me, ties in nicely with everything else I’ve written today. It’s about finding very specific things of beauty in people and obsessively trying to be around those specific things. It’s almost always something that’s different from you. The people I love, doesn’t have to be romantically, are the people in whom I’ve found something I KNOW will take ages for me to find and grow in myself .. by myself. Obviously it takes way more than that to actually be with someone. Love is a fickle feeling. It can be the most fun you will ever have, or the shittiest goddamn time. In order for love to work, you need to make a commitment. You need to like them enough, respect them enough, even without any emotional baggage. It’s about adding worth to your own life and if you find someone that adds worth to your life… I don’t think you should let go. There’s always someone who’s hotter or cooks steak better or drives a bicycle like, REALLY well. But it’s incredibly difficult to find someone who’s just enough different and just enough similar to you, that they can really elevate you to new places. When you give love a chance, the results can be fantastic. When you kill love, you get nothing in return. This entry was posted in Määratlemata and tagged deep thoughts at ten, Jesus-Mecha-Kanye, what is love baby don't hurt me. Bookmark the permalink. I adore your blog man. Inspired.